Dr. Ray Lanoue says he's observed patients who regularly work out require treatment for fractured and broken teeth. 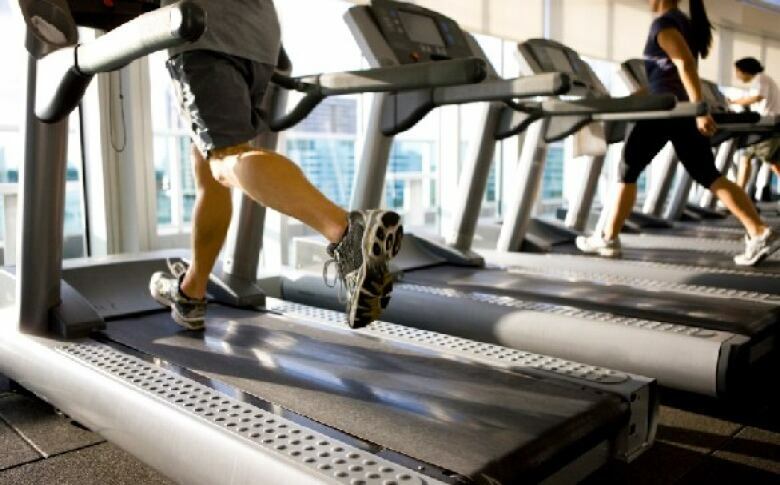 If your new year's resolution involves more frequent trips to the gym, a Windsor dentist warns it might come at the cost of your dental health. Dr. Ray Lanoue says he's observed patients who regularly work out require treatment for "fractured" and "broken" teeth. "The natural response when you do push weight is to clench your teeth, so that vigorous pressure on the jaw joint can cause muscle spasms and sometimes even fractured teeth," said Lanoue, adding one of his patients "in his late 30s" cracked one of his teeth after working out six times a week. 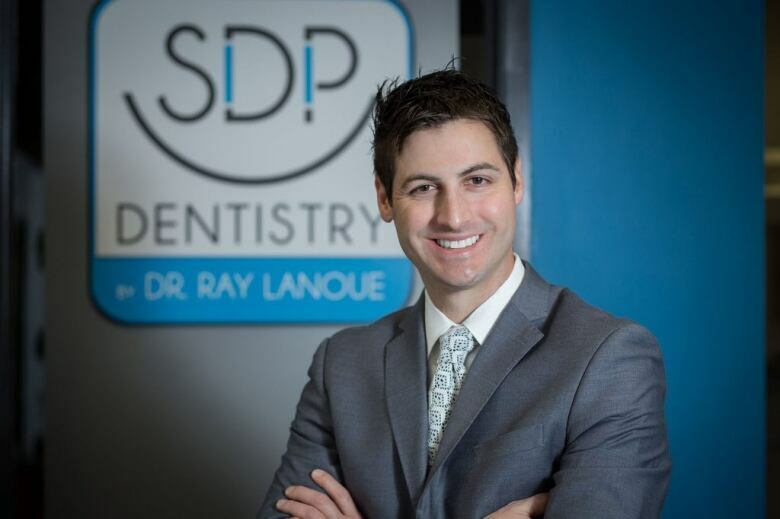 According to Lanoue, the weight on a person's teeth when they're chewing food tips the scale at "150 pounds per square inch." 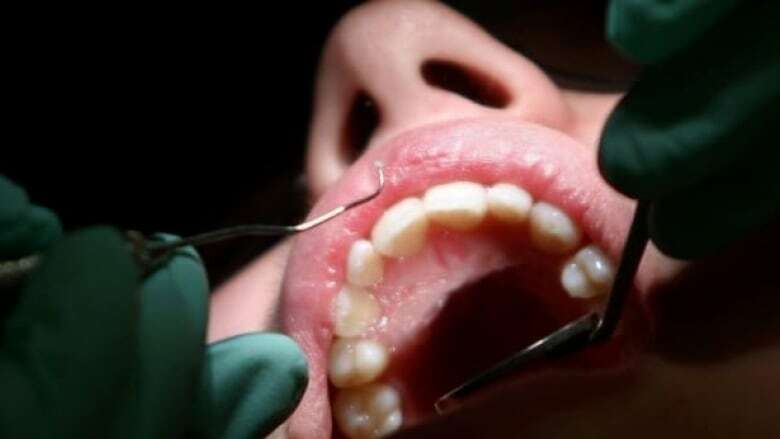 When someone grinds their teeth, that number increases by six. Another reason why working out can be imperative to your dental health is the high sugar content in protein shakes, Lanoue said. "It's mainly the frequency — the sipping on the protein shakes ... during activity or after we want to limit." He said gym-goers should drink water during a hard workout instead, or at least rinse their mouth with water after drinking a protein shake. The timing of the rinse is important, too. Lanoue said people should refrain from brushing their teeth right away after consuming a protein shake. "The best thing to do is rinse with water and then wait a half an hour." Mouth guards are typically associated with hockey all-stars, football players and professional fighters, but Lanoue suggests "it's not a bad idea" for all athletes to wear them. A person wanting to invest in a mouth guard has two options of obtaining one. The first way is to buy one from a store and boil it in water, allowing it to be moldable to a specific individual. The second option is to approach the dentist directly. "The staff would take a detailed impression of your actual mouth. So the fit is going to be a lot better, thinner and customized to your mouth."